Achieve The Professional Grade Stitching! Download our FREE eBook guide to learn how a serger machine can set your products apart from the competition with the expertly made stitches. When it comes to machinery, Brother knows what’s best. 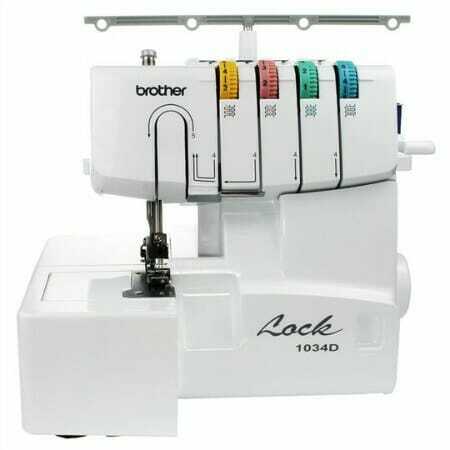 The Brother 1034D serger sewing machine is a 3 or 4 thread serger. 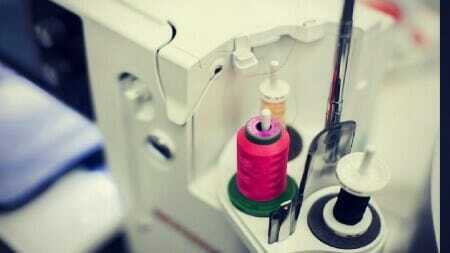 Sergers are used to finish off the seams of your sewing products – mostly around the hem areas. Able to stitch at a speed of 1300 stitches per minute, sergers are over twice as fast as your standard sewing machine. That’s a lot of time you could be saving with all your sewing projects! All the edges and seams are cleanly and professionally finished with sergers, which allows you to show off your talent and skill with a variety of fabrics. Once you start using this Brother 1034D serger, you’ll begin to wonder how you have managed all your sewing needs in the past without it. If you want to buy serger, here are some additional information of great features about this product. The Brother 1034D serger sewing machine is one of the easiest sergers to thread, if the reviews can be believed. After reading about what Brother has done to try and improve the threading experience, you will understand why. The guide for threading is color coded and lay-in with clear pictures for where each thread needs to go. All that is required from you is a little patience to follow the guide exactly. 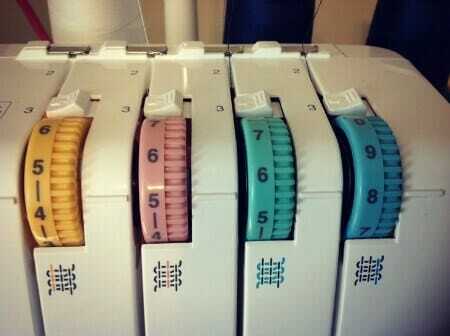 This does include threading everything in the correct order, otherwise your serger won’t work properly. The instruction manual is extremely clear and full of detail on how to perform the most difficult task of using a serger sewing machine. There are even plenty of videos about it if you’re still stuck. The differential feed helps to give you a balanced stitch no matter what type of fabric you’re using. This is especially useful for when you are serging with knits or stretchy fabrics. The option for using an adjustable differential feed will allow you to serge with a much wider variety of fabrics so that you can complete all sorts of sewing projects. The retractable knife blade has received many positive reviews from users of the Brother 1034D serger. With just a flip of the button, the knife blade can be tucked away into the serger. This is particularly useful if you don’t want to cut down your fabric any further while you are sewing. 22 built in stitches. That’s a lot for one tiny machine such as this. This includes the 4 thread overlock and 3 thread overlock, as well as rolled and narrow hems. The optional presser feet give you more variety for the type of stitches that the Brother 1034D can perform. Additional stitches include blind hemming, flatlock and pin tucks. There’s something in the big variety of serger stitches to suit everyone and this has pleased many reviewers. The arm of the serger is removable. This has led to many people finding it a lot easier to now sew cuffs onto their clothes. Hooray! The foot pedal is extremely responsive to the amount of pressure you apply to the serger. This has left many new sergers relieved that they can start learning to serge at a pace that is more comfortable for them. There are only two things to worry about this serger. A coverstitch is a stretched stitch with 2 straight lines on the front and back of the fabric. Coverstitching is only available on a 5-thread serger, which the Brother 1034D does not support. 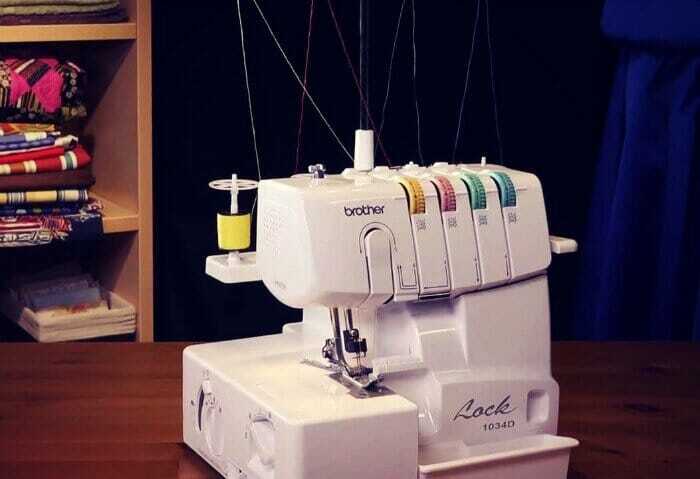 Another common stitch that some reviewers have also mentioned that is unavailable on the Brother 1034D serger is the 3-thread overlock and chain stitch. This is a popular stitch to use for reinforcing your seams but again, you can only perform this stitch on a 5-thread machine. Oiling your serger before your first use isn’t an issue that the reviewers are having. It’s the fact that this little bit of information wasn’t clear in the instruction manual that has gotten users frustrated. What a great way to ruin a perfectly good machine, by not oiling it before your first use because you didn’t read the last page of your instruction manual! You’ve heard it from other reviewers – now, you don’t have an excuse for not oiling your serger machine. Based on all the good reviews and the inclusion of all the basic features that a decent serger should have, the Brother 1034D serger sewing machine is an overall brilliant serger. Its versatility in the number of 3 and 4 thread stitches makes it a great option for beginners to begin learning how to serge. The adjustable speed, differential feed and detailed guide on threading makes learning how to serge a less intimidating task. Valued at around $150, this is significantly cheaper than nearly all serging machines of the same quality. You can easily find another serger with even more features than what the Brother 1034D offers but that will come at an extra cost. The features that this serger offers are the absolute basics of what you require for serging so anything else is just an added bonus. There you have it. An exceptional serger for an unbelievable price. Without a doubt, the Brother 1034D serger is the best serger for money value on the market. Many reviewers have used their Brother serger for years without any hitches (and many stitches). 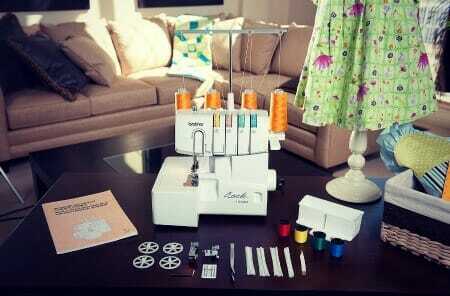 It’s a great option for beginners who don’t want to spend a fortune on a fancy serger sewing machine. With the proper care and regular oiling, your Brother 1034D should last for many years.